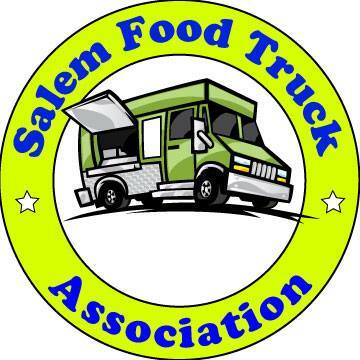 Always a happy day in Salem to see a new--and diverse--option pop up. Since seeing the paper go up in the windows at Church and Marion Streets (in the old Bead Trunk turned records store space), I was excited, because falafel is fantastic. Yum! Even more enticing to see it tout itself as a market. I walked in for lunch last week, and walked up to the counter. The menu board had only one panel of three up. The staff quickly handed me a menu, which is pretty detailed and descriptive. The glass case was full of fresh looking foods, but wrapped in plastic wrap. Ordering the falafel plate to go, I was invited to sit down and wait for the order to be ready. A young gentleman called me over shortly after to pay. I noted I'd ordered the falafel platter, and asked for a piece of baclava as well. It rang up to almost $18. That seemed very steep, but I didn't question, assuming I'd misread the menu. A moment later he calls me to the counter by announcing "falafel platter." Suddenly he begins to apologize profusely; he had rung up my order wrong, thinking I had one of the meat platters. He quickly corrected the mistake, asking my forgiveness multiple times. I assured him it was not a problem, and his attention was appreciated. A quick ride home and into the styrofoam I went. Opening the container it was a very eye catching mix of colors and textures... but not what I expected. I've had similar named offerings at various outlets, and it's usually a mix of items to make a falafel wrap. This was a tossed salad of greens, cucumber pickles, pickled turnip, raw cucumber, tomato and olives. It's very flavorful, with an herbed dressing tossed on. Six large falafel balls were placed around the edge. They looked beautiful, but I was surprised to find them cold, as if they'd been refrigerated. This dulled the texture and flavors greatly. A tiny cup of tahini was there for dipping. Perhaps my dissatisfaction is more my own wrong expectations; I'd expected fresh cooked falafel, still warm from the fryer. Some hummus and/or tzatziki. A pita to wrap it all in. But let's forget that. What I'd refer to as falafel salad was not so bad -- would have been stellar had the falafel been warm. (A discussion about this errupted between friends; one claimed "Arab style" was always served cold. Someone else said it might have been baked and not fried. Another said my expectations were reasonable. The texture and flavors in the salad were very rich, dark and earthy in one moment and bright and pickle-y in the next. The baklava was very, very good. My definition of good baklava is that once described by my Greek boss as "being made in the church basement by a bunch of Greek Grandma's." This was crisp and flakey, with a wonderfully moist sticky mix of filling. The "market" part of the store was disappointing... just soda, chips and domestic snacks you'd find at any stop and shop. There were some bare shelves, so perhaps they have plans to add some unique items. I'll certainly go back and check it out again. They were doing a fairly good lunch business of eat in and first time carry out orders like myself. Best of luck to them! 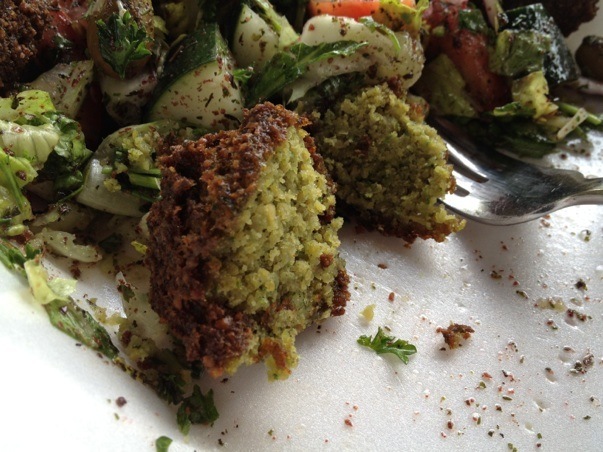 Both times I've gone the falafel has been precooked and cold also. If it was made to order & hot it would be pretty good I think. I have had these a couple of times and they have always been hot. It's too bad that you didn't get to try it that way! I also really like their baba ganoush. It is my favorite in town. If you want to try good falafal you need to visit Downtown Grocery and Deli. This is a little mini mart with an upstairs dining room right off Liberty St. We have tried Al-aqsa, Macedonia, Falafal King and DG&D and DG&D is by far the best Greek/Lebanese we have had in Salem. 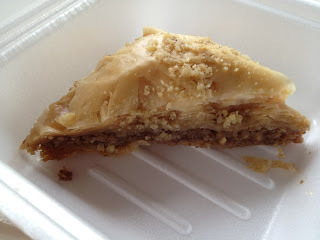 The owner's wife makes everything from scratch, including the baklava. The first time we ate here, the owner Tony treated us to complimentary baklava, warm fresh out of the oven. This is a must visit. 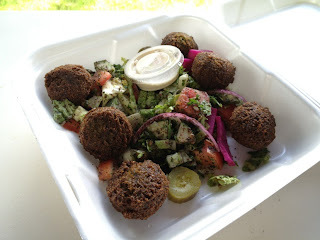 We went to Falafel King a few weeks back and enjoyed it. I had a beef schwarma (many ways to spell that) and my wife had a chicken one. We also had a side order of falafel and an appetizer of Fried Kibbeh - a deep fried mix of bulgur wheat, beef and spices.